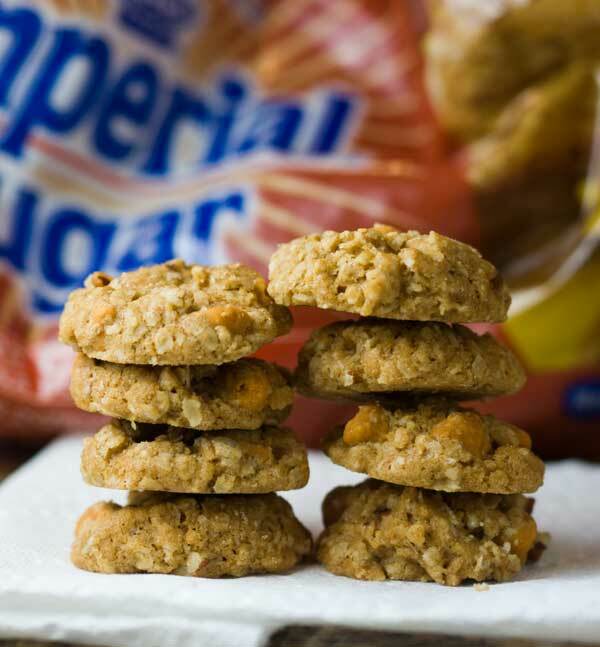 Miniature oatmeal butterscotch cookies which are crunchy through and through. The yield is approximate. 1/3 cup toasted and chopped pecans. Preheat the oven to 300 degrees. Line two large baking sheets with parchment paper. Mix together the flour, baking soda, salt and cinnamon and set aside. In a mixing bowl, beat the butter until creamy. Beat in both sugars and continue beating until light and fluffy. Add the egg and beat just until mixed. Beat in the vanilla. Add the flour mixture and stir until blended, then stir in the oats, butterscotch chips and pecans. Shape the dough into marble size balls and arrange about 1 1/2 inches apart on baking sheets. Bake for 30 minutes (check at 22 minutes), switching racks halfway through. When cookies appear set and baked and slightly brown around the edges, remove from oven and let cool completely. They will not be completely crunchy and crisp until they finish cooling.